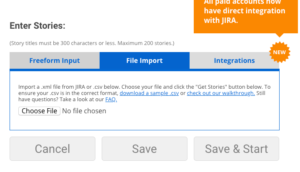 This will walk you through the steps to import your stories with a CSV file. If you’ve tried to upload your CSV and it’s not working, please try downloading the Sample CSV and put your data in the same format. Here’s a link to the sample CSV: sample csv file.